Some states have banned companies from monitoring employees' social accounts, but a FINRA wants an exception for financial firms. Despite nearly a dozen laws that prevent the practice, a Wall Street regulator wants the wiggle room to keep tabs on stockbrokers' social network postings. The Financial Industry Regulatory Authority (FINRA), a self-regulator for brokerages, says investors must be protected; if stockbrokers are chattering about stocks on Facebook and Twitter, FINRA must ensure that they must comply with Wall Street firms' policies. Those policies involve everything from requiring brokers to disclose conflicts of interest, to ensuring they aren't recommending a stock in official company forums and trashing the company elsewhere. In order to keep stockbrokers and firms in line with those policies, both FINRA and the U.S. Securities and Exchange Commission require broker-dealers to keep a record of "all business communications." If brokers use social media for those communications, FINRA says firms need to be able to access those social accounts. Earlier this year, FINRA sent letters to about 10 states whose laws or proposed legislation ban such monitoring, according to spokesman George Smaragdis. The Wall Street Journal first reported these efforts on Monday. 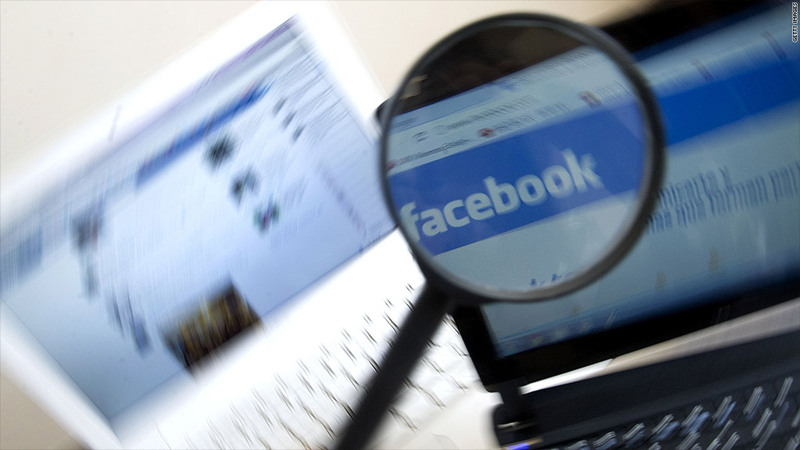 After numerous instances of people being fired for ill-advised Facebook posts over the past few years, some states have banned companies from monitoring employees' social accounts. Social network login credentials were at the center of one high-profile lawsuit in 2011. In that case, an officer at the Maryland Division of Corrections -- who was applying for re-certification after a leave of absence -- said an interviewer asked for his Facebook login information during his interview. The American Civil Liberties Union took up the case, and shortly afterward, Maryland became the first state to ban this practice. The many similar laws that were since passed or are in the works in other states generally ban employers from requiring access to employees' or job applicants' social accounts. Smaragdis sent CNNMoney a copy of FINRA's letter to Colorado lawmakers, in which the regulator suggested changes to a bill introduced in January. "Prohibiting access to these accounts conflicts with a firm's responsibilities to comply with federal requirements and threatens investor protection," FINRA complained in its letter. As Smaragdis puts it, FINRA wants financial companies to be able to "follow up on 'red flags.'" Smaragdis insists there are limits to what FINRA is seeking. The regulator, for instance, doesn't want firms to be required "to conduct routine surveillance" of employees' social media accounts, or to keep their login information on file. The regulator declined to comment on specifics about how exactly it would use the exemption, if granted. Supporters of the social-monitoring bans argue the slope is too slippery: If your employer can check out your Facebook (FB) posts to make sure you're following the rules, what's to stop them from cruising through your photos and using those against you? The ACLU deemed the practice "an abuse of power" during the Maryland Department of Corrections case. FINRA's request to states comes at a time when other financial regulators are grappling with the issue of how to deal with social network posts. The SEC investigated Netflix (NFLX) last year after CEO Reed Hastings posted a statistic about viewer habits on his Facebook page -- with no formal press release or SEC filing. After a four-month probe, the SEC decided companies may turn to Facebook and other social media outlets to release important information, as long as they alert investors in advance about which platforms they will use. Regulators clearly understand the impact social media can have on investors' decision-making. But figuring out how to manage social-network posts has FINRA and the SEC playing a game of catch-up.